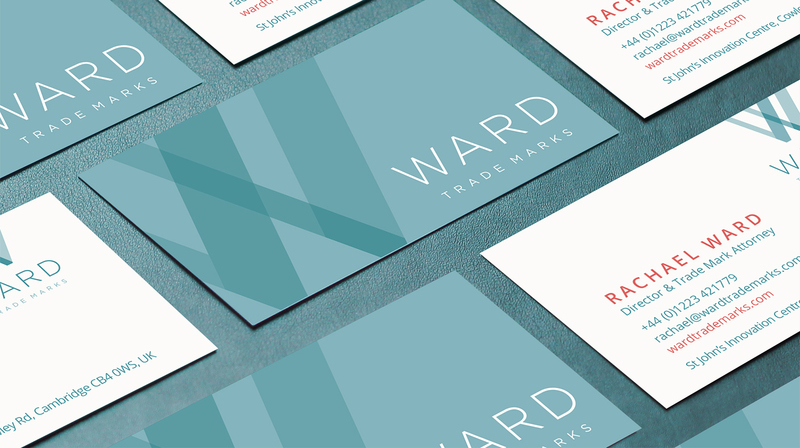 Successful Trade Mark specialist firm Rachael Ward Ltd approached us when they realised that their growth path meant their existing brand was no longer fit for purpose. The firm, launched by highly experienced Trade Mark attorney Rachael, had been operating for eighteen months in the heart of the tech and innovation community of Cambridge. 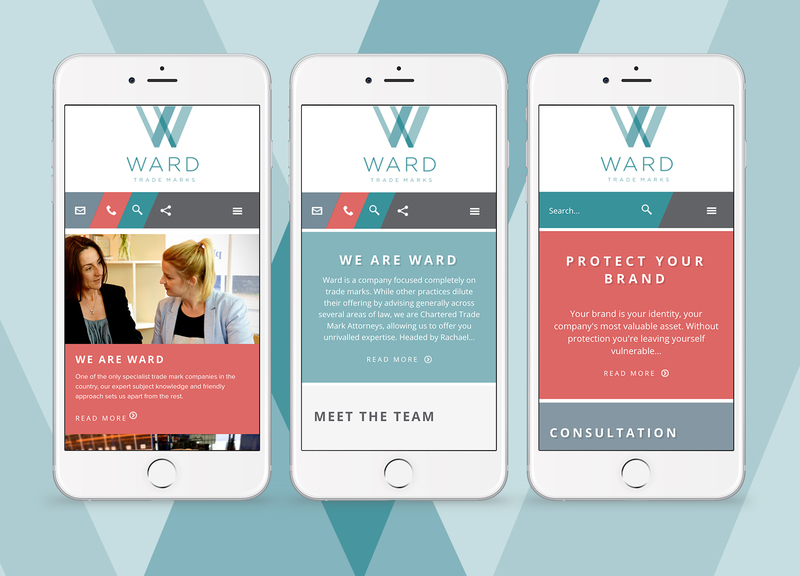 To support their plans for expansion the firm needed its brand to express both its professionalism and its personal touch, whilst allowing expansion of the team beyond the founder. 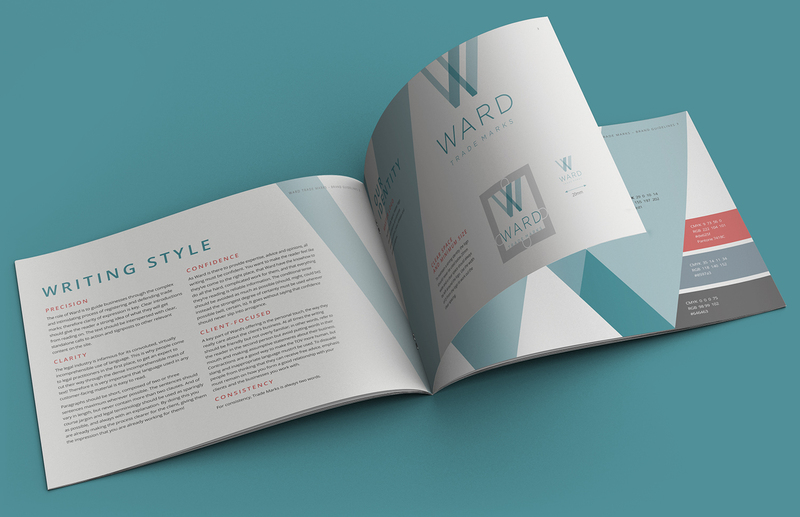 The strategic solution was to rename the firm as simply Ward, and our role was to create a corporate identity which communicated its position as a leading specialist in its field. 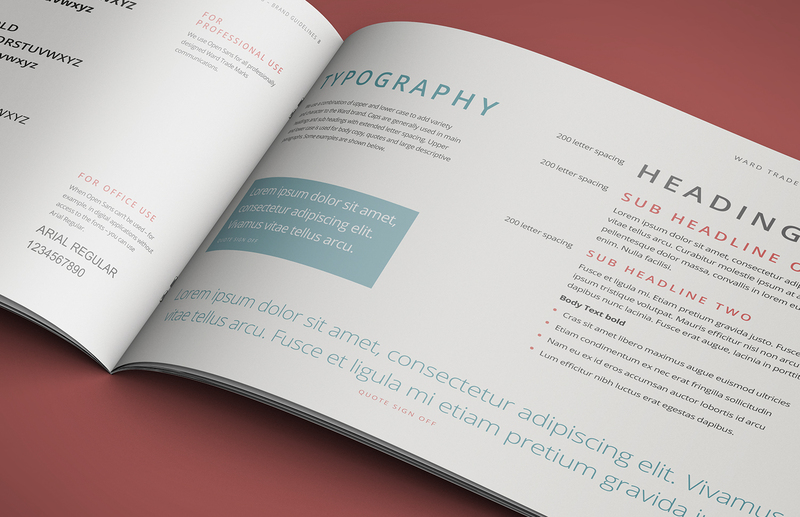 We designed a complete identity suite, including logo and marketing materials, and then took the identity through to a complete website design and build. The ‘W’ of Ward is key to the design: its intersecting, overlapping lines representing the in-depth processes involved in trade marking. The colour scheme was carefully chosen to give a feel that was professional but welcoming, differentiating it from the competition. Our photography features Rachael Ward and her senior team with clients, expressing the importance of the human touch in this important sector of legal advice.